beer | Eat. Snap. Travel. Our trip to Prague was a short-lived. We had two days to explore, and I got the flu the day we were headed there. Because of that, I spent a lot of time in the room instead of exploring the city. And when I did explore I felt like I was in a fog. But what I remember of it I did enjoy and will definitely love to go back one day! First things first, I had to go exchange my euros for Czech koruna. I definitely felt rich after, this was worth about 37 euro. Needless to say, our money went a long way here. lol! The rest of day 1 was mostly food and beer related with a little exploring. Let me just say this is a great place to visit if you want to drink great beer for cheap! Prague is a city broken up into districts by numbers. If you plan to travel there and plan to hit the major tourist spots I would recommend to stay in either Prague 1 or Prague 2. Although the public transportation is very convenient and very cheap, so if you stay outside of those districts it still won’t take too long to get to the areas you want to explore. Day 2 we started off in Prague 2. Prague 2 is more new town with a typical city feel to it. You will find a lot of familiar stores here. I wanted to go all out with the food we ate considering I was sick and didn’t get to join on the night time festivities (which by the way I hear was awesome and quite the experience). So we went to this restaurant at the top of a building that looked really fancy. Our gourmet meal cost us a whopping $15 euro equivalent per plate. I was pretty happy with that! After lunch we made our way over to Prague 1 which is the old town. OMG was it beautiful! I was so in love with the looks of the old buildings and feel to this area. I seriously felt like I was traveling back in time. We then made the hike to Prague Castle. It is at the top of the hill so be prepared with some good walking shoes! It was so worth it. The castle is absolutely breathtaking. The pictures really don’t do it justice. 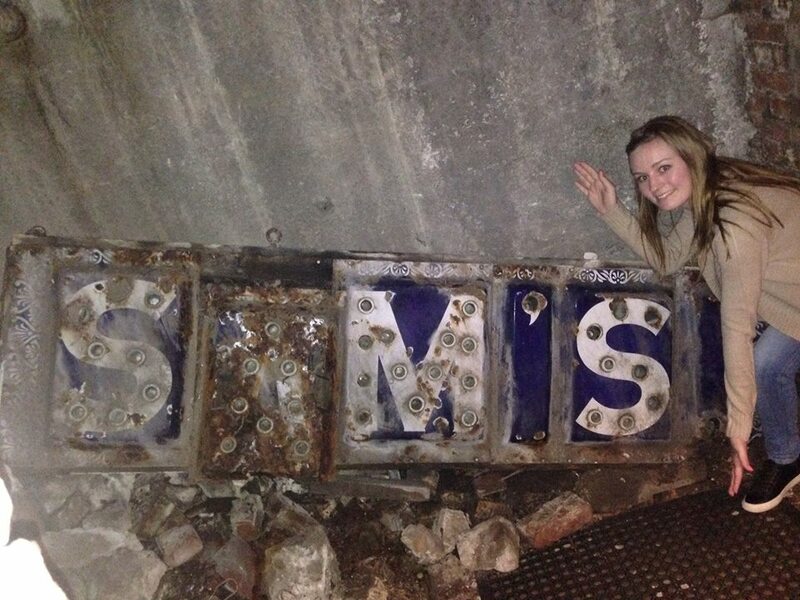 One of my favorite parts about the castle? Definitely the violent statues at the gates. Where else can you see that?! We then went to old town square to see the oldest working clock in the world, the Prague Olaj. It was pretty neat to see and old town square had such a cute feel to it as well. Full of the old buildings I just couldn’t get enough of. And we found this stand with Trdelník. The best way for me to describe Trdelník is to say its like a giant churro with Nutella on the inside. OMG was this good! And that was my experience in Prague. Definitely wasn’t the most exciting part of our trip, but I know it was only because of how sick I was. But for a city I spent most of my time in the room in, I am still pretty happy with what we were able to cover! Have you been to Prague? What things did you like about it? And since I am DEFINITELY going back one day, what kind of things would you suggest to check out or try? 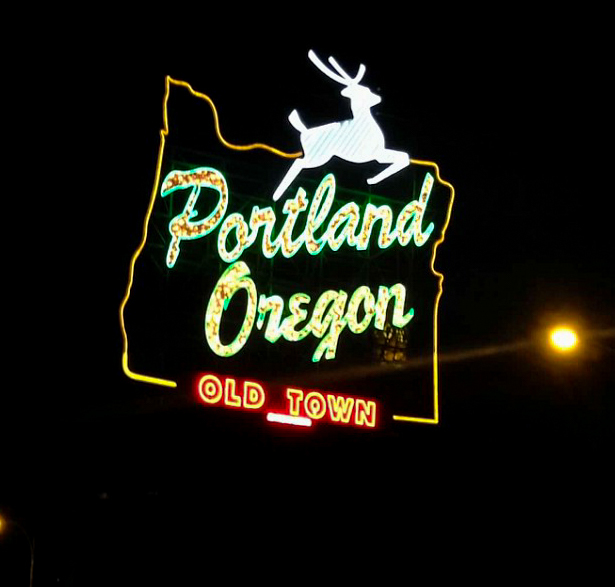 Portland is a beautiful, eclectic, weird place full of great food, great beer, and an awesome vibe. It has a Downtown city feel but is Surrounded by water and trees. You really can get the best of both worlds here. 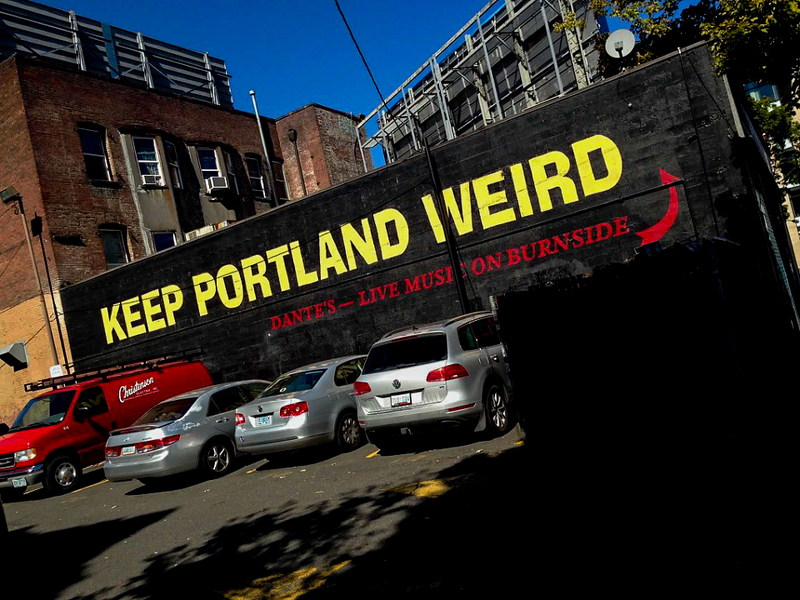 Portland is exactly as fun and weird as you think it is. Street markets with booths full of handmade items, stores full of hipster-esque products, all the restaurants and breweries come with something unique, something different. You don’t find much “basic” stuff here and that’s what makes it so special. See, they even like to remind the residents! lol! I didn’t get to spend nearly as much time here as I wanted to. I really just decided to come for a day during my trip up north to visit my brother and sister-in-law. As they share my love for food and beer, they had an awesome day planned out for me! We started off the day with some coffee (the coffee here is amazing! doesn’t matter where you go, just get some coffee!) and bagels at Bowery Bagels. These bagels by the way are not just ordinary bagels… they are super delicious, scrumptious, take a dozen home with you on the plane type of bagels. You can’t have just one! After that we went walking around the area (we walked a LOT that day!!) There are so many cool and unique things to see in Portland. Even just simple stuff like this GIANT Chair on the sidewalk. 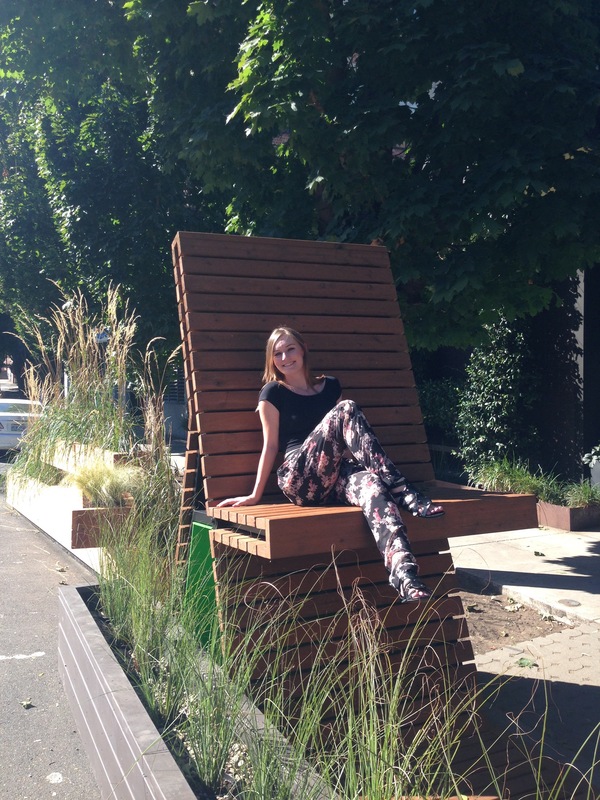 What I meant was that I’m actually in the land of giants and snuck up on their chair for a photo opp… just kidding. But its stuff like this that make this city so unique! Next stop on the list was Rogue Brewery! As excited as I was to go here, I have to say it wasn’t the best for beer tasting. Most of their off the wall must try beers are only available in the bottle. 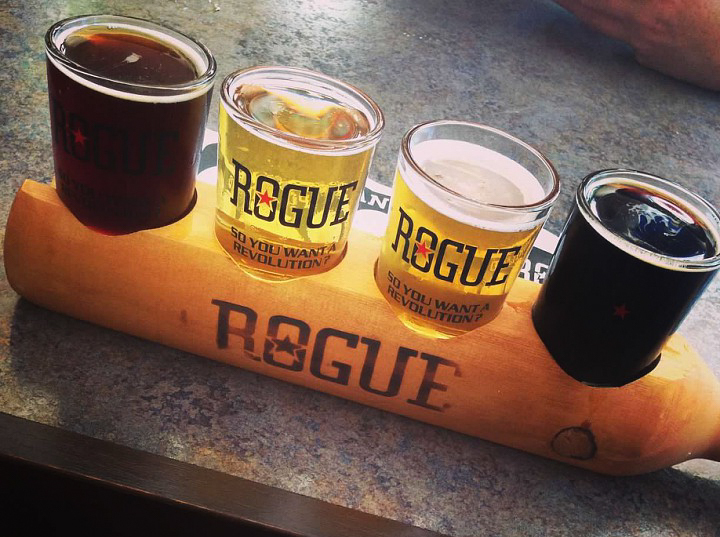 But I still got to try some yummy beer and mark off Rogue Brewery from my brewery bucket list! SCORE!! The next place on their list was Ice Cream!! 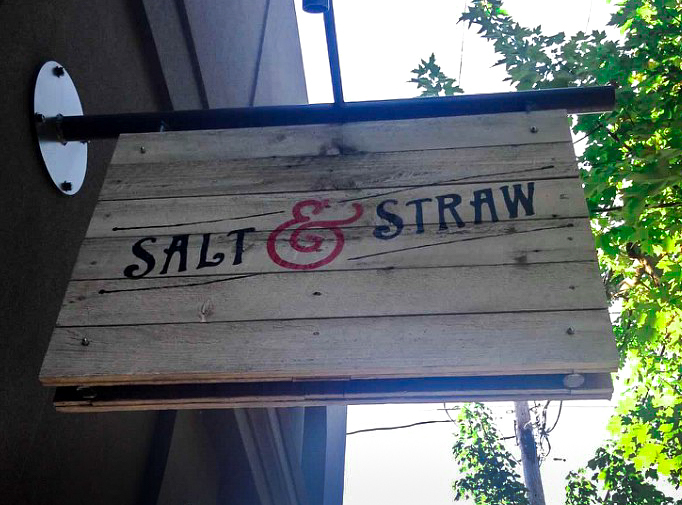 They took me to this very unique and popular spot called Salt & Straw. And apparently they have a spot in LA too! This place was so good, we waited a good hour, hour and a half in line… it was well worth it. Just the flavor options alone will make you want to spend the whole day there trying samples! 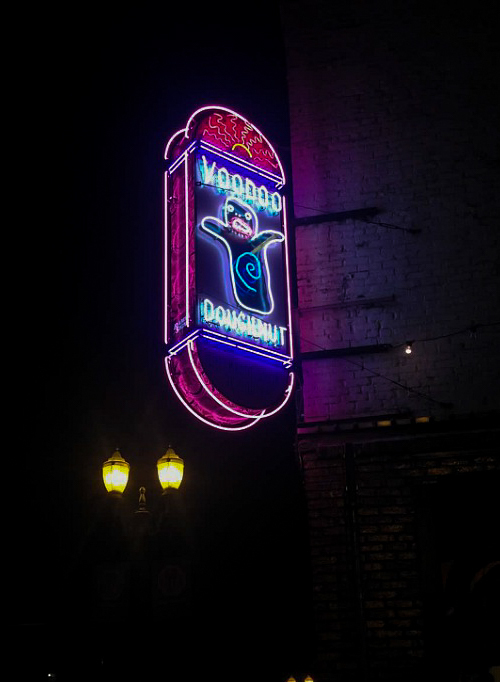 And as far as most popular and well-known place that I had heard of before going to Portland, was Voodoo Donuts. They of course had that on the list too! But we decided to wait till later in the evening because that line will also take hours. I would definitely recommend going later, they are open 24 hours so you don’t have to wait with the rest of the crowd. And as there was still a line when we went it was way smaller than it had been earlier that day, perfect for an after dinner desert option!! My brother got the famous maple bacon bar. Ohmygolly did it look scrumptious. I just had to get the Voodoo Doll one though. 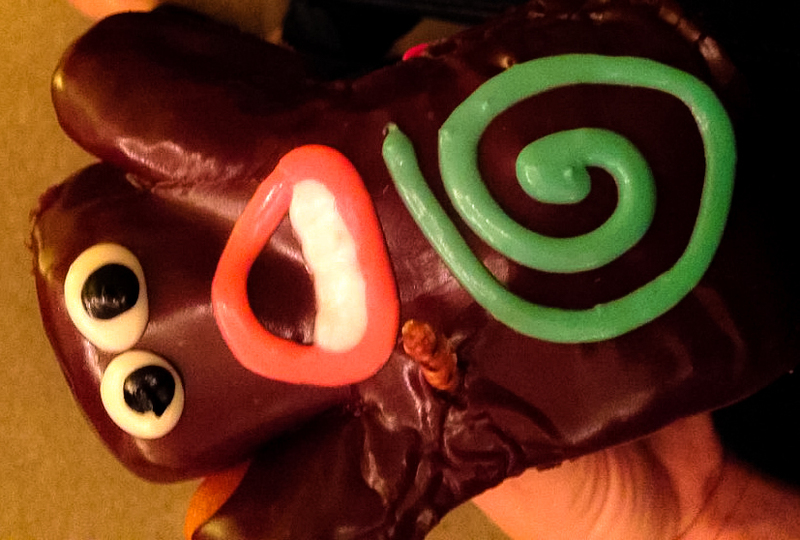 It’s cool because it comes with a pretzel and when you stab it into the donut, jelly comes out! it’s so weird and cool! The next place we went was actually my favorite place yet. It’s called The Big Legrowlski. It’s not a brewery or a bar, but a growler station. I’ve never seen a spot like this before. 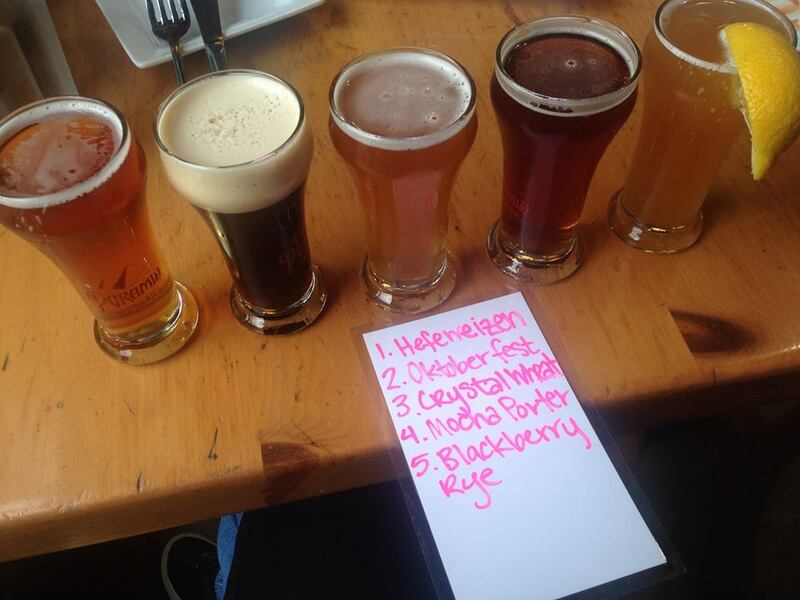 They carry all kinds of different beer and their list is ever-changing. You can get tasters for cheap and try each one if you want! I think I tried a fair amount there. If you like it, you can get a pint, and if you really love it, get a growler! Besides the great beer options, what made this place so great was the owner. He was so friendly and really made the experience a fun one! And that was my day in Portland! I definitely have to thank my brother and sister-in-law for planning out such a fun day! And I can’t wait to come back and see all the new places they have on their list! 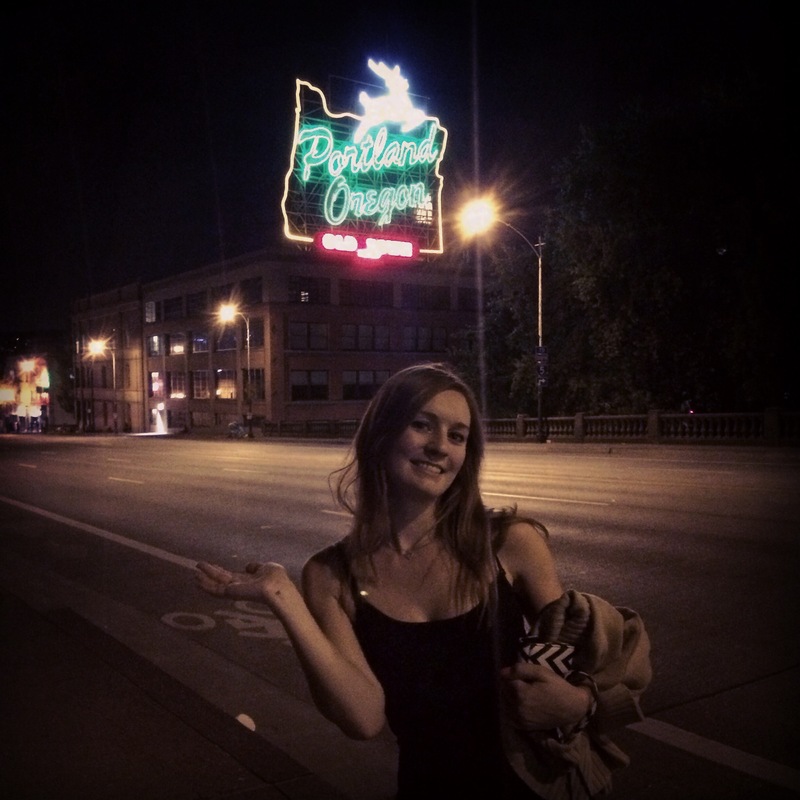 Thanks for reading, I hope you enjoyed it and got some good ideas for your next trip to Portland! Have you been there before? What are some of your favorite places to go? 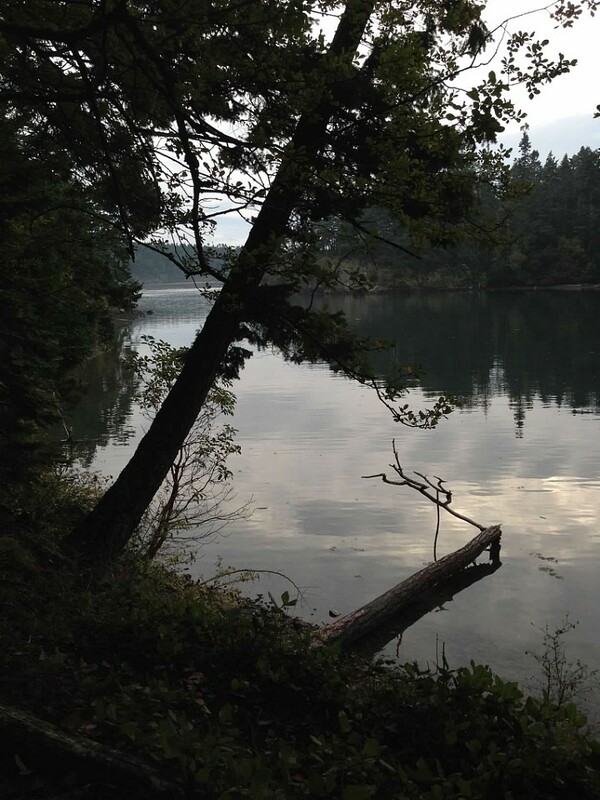 I’m not going to lie, I never thought Washington would be one of the states that would steal my heart… But it did. The fact 2 of my best friends live there definitely helped, but being born and raised in Southern California all I could think about was how GREEN and beautiful it was! 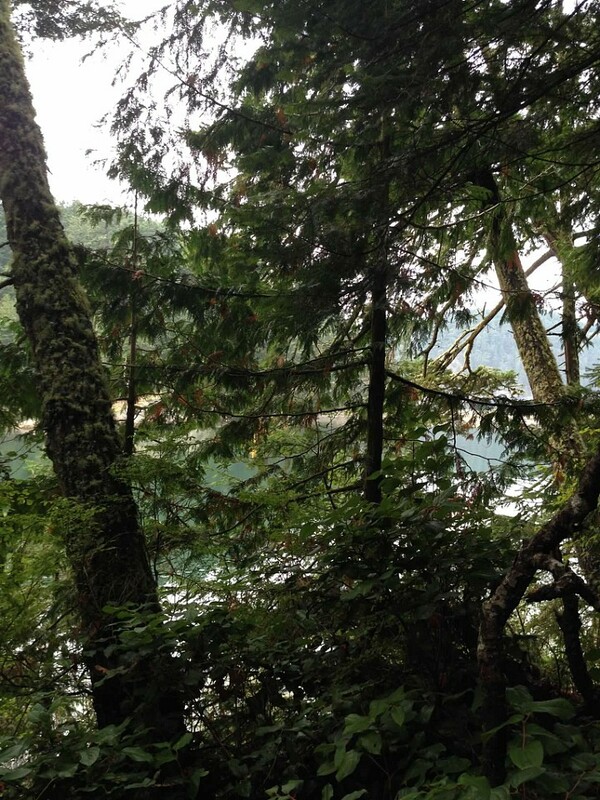 These pictures were taken at a place called Deception Pass, where we went hiking through all the beautiful trees. Anyone who knows me knows how much I LOVE coffee. 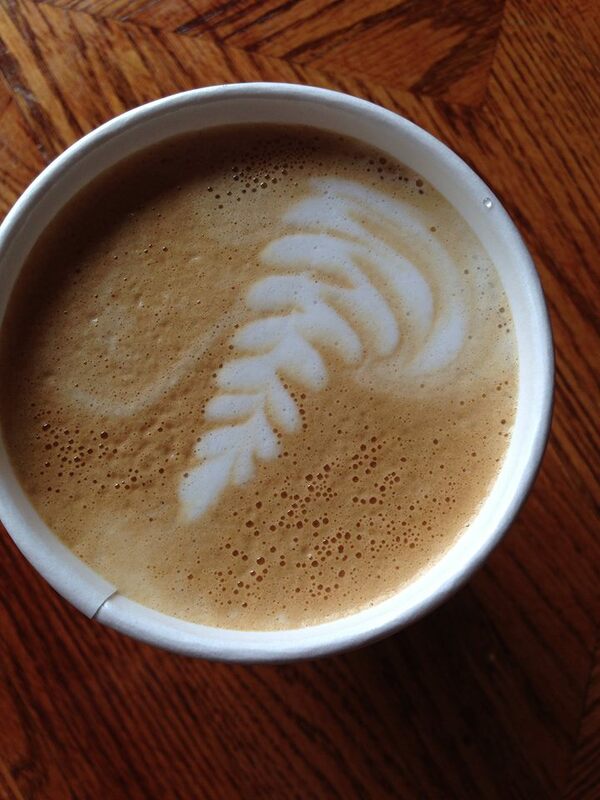 Coffee is the best, so of course when you’re in Washington you must try a coffee house! 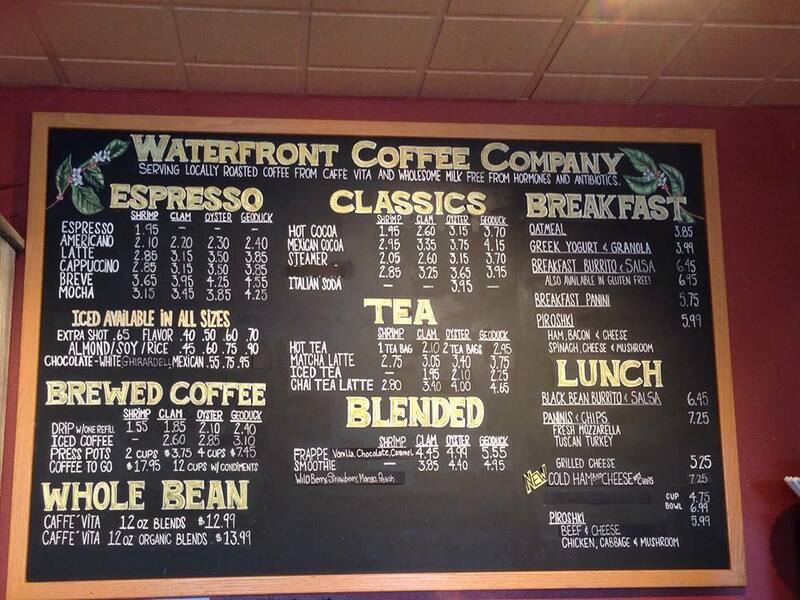 We went to a coffee house called Waterfront Coffee Company in a city called Edmonds. They had the coolest names for their sizes so I had to take a picture! Besides coffee, my other favorite thing is of course food. 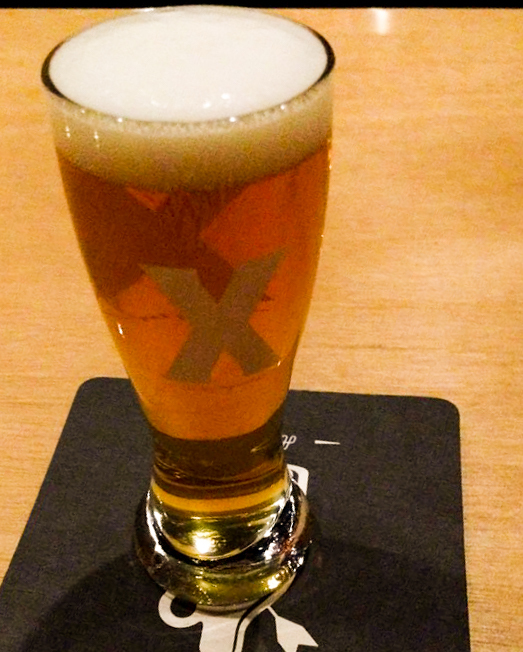 So I told my friends while I was there I wanted 2 things… a good food place and some good beer! They did NOT disappoint! 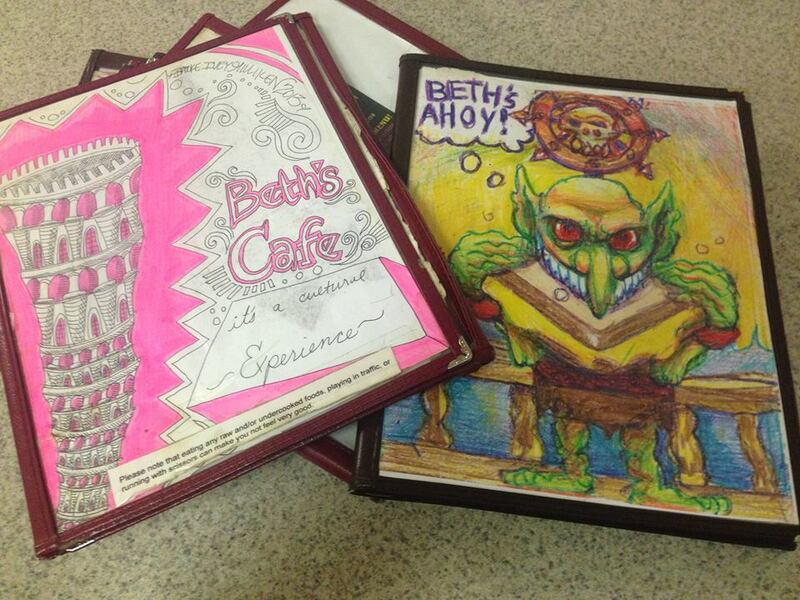 In Seattle there is this small little place called Beth’s Café. 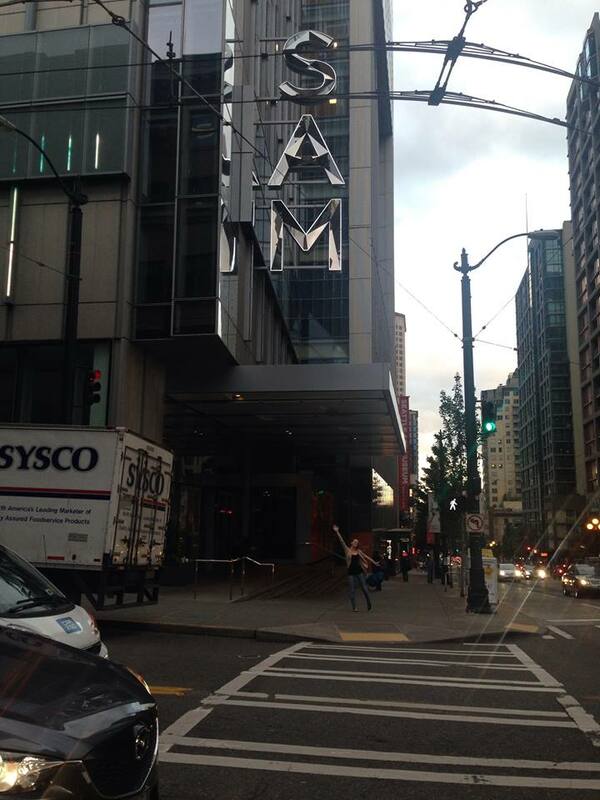 OH MY GOODNESS, if you ever go to Seattle you HAVE to go there! Unfortunately I was so excited to try the food that I forgot to take a picture of it, but the place is so unique that I got a couple pictures of it to share with you all. 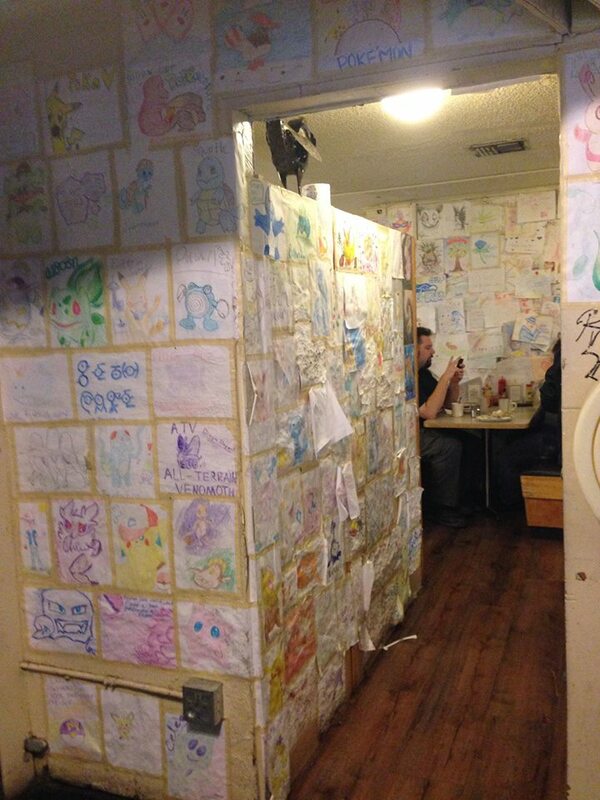 When you walk into the café you are instantly surrounded by walls and walls of colorful pictures. And when you get sat at your table, your host gives you menu’s, a stack of plain white paper, and some crayons. I’m not creative but I did draw some fun Harry Potter references. As for the food I got what’s called a “Northsider” which was Cheddar, swiss, and american cheeses, Chili, and onions piled onto a large mound of hash browns, topped with tomatoes. Served with sour cream and salsa. If your a vegetarian or like the occasional “non meat dish” they offer a vegetarian chili that is AMAZING! Seattle is also one of the homes to the Pyramid Brewery. 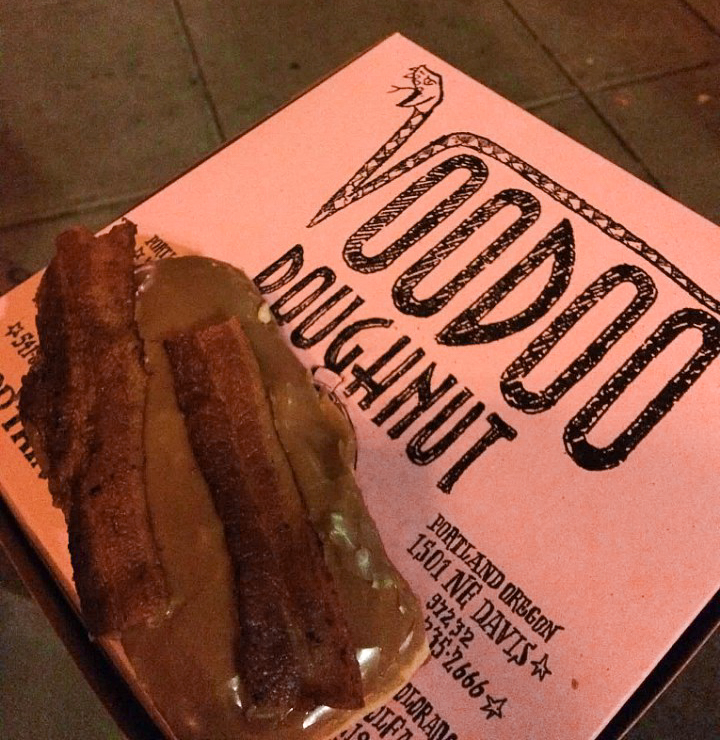 A few years back me and my boyfriend visited the one in San Francisco and it was really good, so I thought I would see what Seattle’s location had to offer. My favorite was the Blackberry Rye. 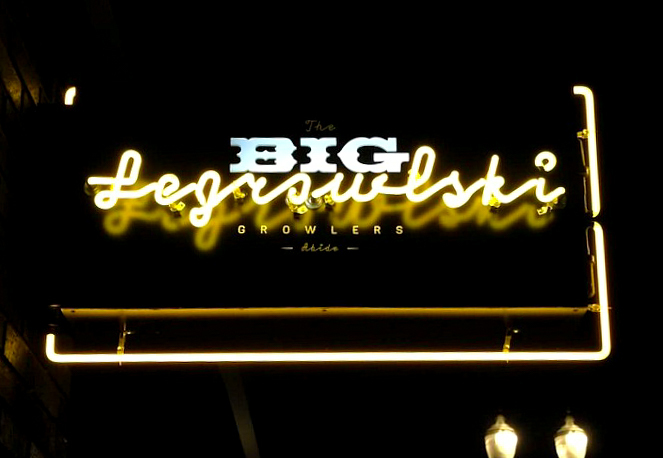 It was one of their special only served in house beers so I bought a growler to take home with me! 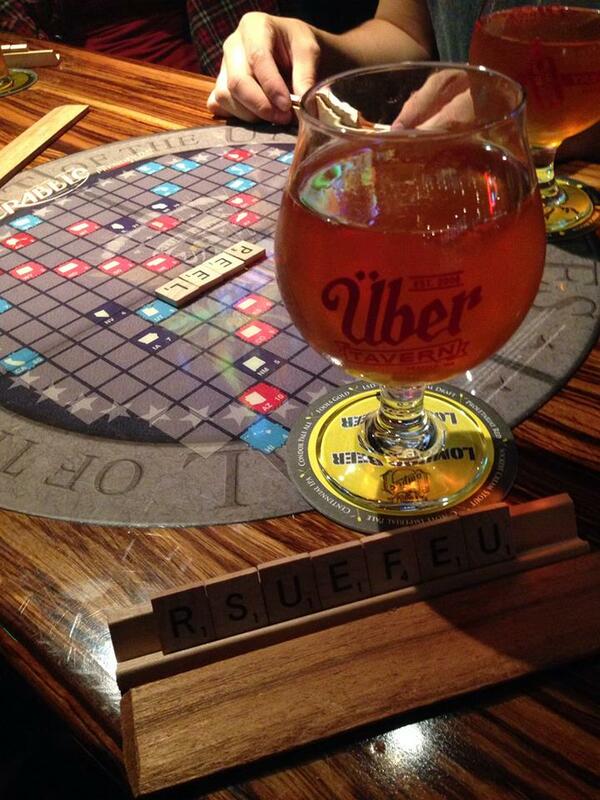 Also in Seattle there is a bar that serves tons of craft beers, its called Uber Tavern. This place was also very unique because all of their tables had board games molded onto them! I went in the fall so they had this pumpkin spice ale from a brewery in New York. Really Delicious! The last part of my trip was walking around and exploring downtown Seattle. We went to the fist Starbucks at Pike Place, and did the underground tour. Sam’s are very popular in Seattle. And that was my trip to Washington! 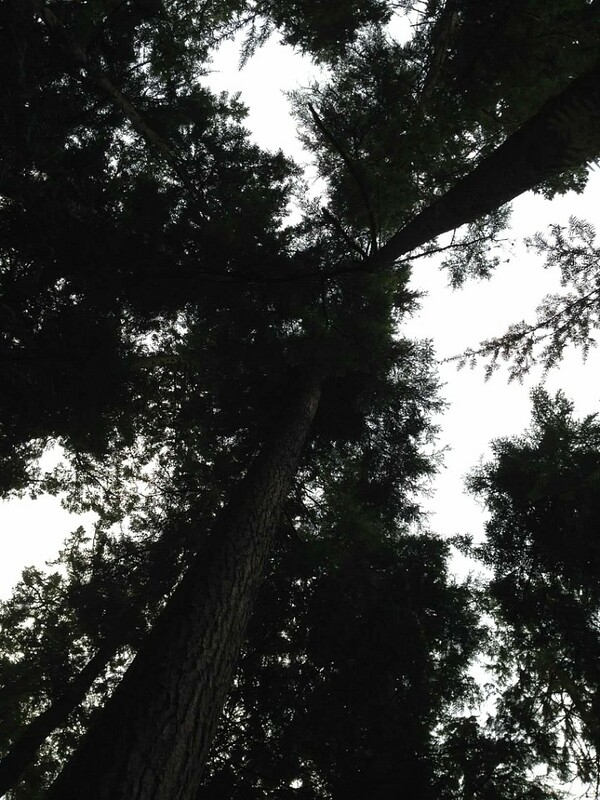 The green, the gloomy weather, the good food, coffee, beer, sites, friends…. it was all just amazing. And the people are so nice! I can’t wait to go back! Have you visited Seattle or other cities in Washington? What places did you go to? What are some other must see/try places? Leave a comment I’d love to hear about your experiences! My Name is Sam and I created this blog off of my love for food, travel and photography. Whenever I visit a new area the most exciting part for me is the food. I hope to help people find great places to eat in new areas, Inspire people to travel more (even if its just to a new city near you) and to take more pictures and capture the great moments in your life. The wand chooses the wizard.